Scroggins, Charles Melvin (19 Feb 1930 - 16 Sep 2009) . Scroggins, [Dorothy] Irene Sowers (9 Apr 1922 - 14 Sep 2009) . Wife of Scroggins, Raymond (7 May 1919 - 20 May 1968)  [FaG:44165675]. Wife of Scroggins, Donnie L. (29 Jan 1942 - ) [46802:8]. ROMAN, Ellen Jane (Scroggins) Ellen Jane (Scroggins) Roman, 47, of Lisbon, passed away Thursday, (September 24, 2009) at home. She was born on December 22, 1961, in Westerly, RI and was the daughter of Louise (Tedone) Noone of Berlin, and the late Harry Scroggins. Ellen was the Executive Director for the Boys & Girls Club of SECT for 1 1/2 years. She loved to cook for her family and friends, and enjoyed her trips to the beach. She will be remembered as an individual who devoted her time and effort to helping others through the various organizations she was affiliated with. She will be deeply missed. Besides her mother, she leaves two sons, Jameson Nordberg of Old Lyme and Leif Nordberg [FB?] of Cupertino, CA; her sister, Sharon Brunetti [FB?] and her husband, Donald of Hamden; a brother, Jeffrey Scroggins and his wife, Carmella of Westerly, RI; five nieces; and a sister-in-law, Joan McCrea [FB?] of Westerly, RI. She was predeceased by a brother, Steven Scroggins . The family will receive friends Wednesday, September 30, from 6-9 p.m. at the Mystic Funeral Home, Route 1, Mystic (51 Williams Ave). A gathering of family and friends to remember Ellen will take place Thursday, October 1, at 10 a.m. at the funeral home. Burial will be private. In lieu of flowers, donations may be made to the Boys & Girls Club of SECT, P.O. Box 1762, Groton, CT 06340. The family invites you to visit www.mysticfuneralhome.com to share an online message of condolence and directions to the funeral home. Lisbon - Ellen Jane (Scroggins) Roman, 47, of Lisbon, passed away Thursday, Sept. 24, 2009, at home. She was born on Dec. 22, 1961, in Westerly, the daughter of Louise (Tedone) Noone of Berlin and the late Harry Scroggins. Ellen was the executive director for the Boys & Girls Club of Southeastern Connecticut for a year and a half. She loved to cook for her family and friends and enjoyed trips to the beach. She will be remembered as an individual who devoted her time and effort to helping others through the various organizations with which she was affiliated. She will be deeply missed. Besides her mother, she leaves two sons, Jameson Nordberg of Old Lyme and Leif Nordberg of Cupertino, Calif.; her sister, Sharon Brunetti and her husband, Donald, of Hamden; a brother, Jeffrey Scroggins and his wife, Carmella, of Westerly; five nieces; and a sister-in-law, Joan McCrea of Westerly. She was predeceased by a brother, Steven Scroggins. The family will receive friends from 6 to 9 p.m. on Wednesday, Sept. 30, 2009, at the Mystic Funeral Home, Route 1, 51 Williams Ave., Mystic. A gathering of family and friends will take place at 10 a.m. Thursday, Oct. 1, at the funeral home to remember Ellen. Burial will be private. In lieu of flowers, donations may be made to the Boys & Girls Club of SE CT, PO Box 1762, Groton CT 06340. The family invites you to visit www.mysticfuneralhome.com to share an online message of condolence and directions to the funeral home. Ellen Jane (Scroggins) Roman, 47, of Lisbon CT, passed away Thursday, September 24, 2009 at home. She was born on December 22, 1961 in Westerly, RI and was the daughter of Louise (Tedone) Noone of Berlin, CT and the late Harry Scroggins. Ellen was the Executive Director for the Boys & Girls Club of SECT for 1 ½ years. She loved to cook for her family and friends, and enjoyed her trips to the beach. She will be remembered as an individual who devoted her time and effort to helping others through the various organizations she was affiliated with. She will be deeply missed. Besides her mother, she leaves two sons, Jameson Nordberg of Old Lyme and Leif Nordberg of Cupertino, CA; her sister, Sharon Brunetti and her husband, Donald, of Hamden; a brother, Jeffrey Scroggins and his wife, Carmella of Westerly, RI; five nieces; and a sister-in-law, Joan McCrea of Westerly, RI. She was predeceased by a brother, Steven Scroggins. The family will receive friends Wednesday, September 30, 2009 from 6-9 pm at the Mystic Funeral Home Route 1 Mystic (51 Williams Ave). A gathering of family and friends to remember Ellen will take place Thursday, October 1, at 10:00 am at the funeral home. Burial will be private. In lieu of flowers donations may be made to the Boys & Girls Club of SECT P.O. Box 1762 Groton, CT. 06340. HUGHEN Carl E. Hughen a native of Milton, Fl. And resident of Grand Bay, Al. died Friday, September 25, 2009 at his home. He served in the US Navy during WWII, 93rd CB3 Batallion. He was a member of S.B. Adams Lodge No. 884 F&AM, a former member of Scottish Rite, a member of Abba Temple and Oddfellow. Mr. Hughen retired from ALCOA in 1976 after 36 years. He was preceded in death by his wife Clotiel Hughen. Survivors include his 2 daughters; Carolyn  (Tony) Johnson, Frances Carol Hughen (Thomas), 4 grandchildren; Michelle Hughen Johnson, Shannon Scroggins , Roy D. Scroggins  and Michael James Hughen , 11 great grandchildren, 3 great great grandchildren, other relatives and many friends. Funeral services will be held Tuesday, September 29, 2009 at 12noon from Higher Ground Baptist Church following a visitation from 10am until service time. Interment will be in Pine Crest Cemetery on DIP. Arrangements are by Serenity Funeral Home, 8691 Old Pascagoula Rd., Theodore, Al. 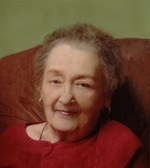 Helen M. Bain, age 86 of Portage passed away peacefully at home surrounded by her family on September 19, 2009. She was born April 14, 1923 in Duquesne, PA where she married William "Bill" Bain in 1942. He preceded her in death on November 27, 1999. She is survived by 3 daughters Donna Bain of Portage, Cheryl Scroggins and Shelley (Stephen) Williams both of Hobart; six grandchildren Christopher (Jessica) Williams and Jeffrey (Cindy) Scroggins of Hobart, Eddie Scroggins and Aaron Milevsky of Portage, Lori (Paul) Lindblad of VA and Tony (Nikki) Milevsky of CA; six great-grandchildren Alexandra  and Arielle  Scroggins, Isabella and Odin Williams all of Hobart and Alino and Max Milevsky of CA; one sister Margaret Chayhitz of Valparaiso and many nieces and nephews. A private funeral service was held at Graceland Cemetery in Valparaiso on September 25, 2009. Pastor Rick Hayden officiated. Memorials may be made in Helen's name to Trinity Free Methodist Church, 8650 Grand Blvd., Merrillville, IN 46410. Burns Funeral Home, Hobart handled arrangements. www.burnsfuneral.com . Mrs. Margaret Reynolds, 80, of 1318a So. Washington in Harrisburg, died in Pearce Hospital in Eldorado at 6:30 a.m. today. She was the widow of George Reynolds. Surviving is a daughter, Opal (Dallas) Stilley of Harrisburg. Funeral arrangements are incomplete. Friends may call Gibbons Funeral Home in Harrisburg after 6 p.m. today. The funeral of Mrs. Margaret Ellen Reynolds, 80, of Harrisburg, will be at 2 p.m. Thursday at the Spring Valley Church. Rev. Carl Downey will conduct the ceremony. Burial will be in the church cemetery. Mrs. Reynolds died at 6:30 a.m. Tuesday in Pearce Hospital in Eldorado. Eva Dean Brooks, age 85, of Benton went to sleep in the Lord, on Sept. 23, 2009 in Bryant.Mrs. Brooks was born on March 3, 1924, in Kelso, Wash., to her parents, Walter Newton Scroggins  and Eva Bannister . She was a hard working mother of the Church of Jesus Christ and enjoyed sewing and crocheting.Mrs. Brooks is preceded in death by her parents; her brothers, Donald  and Newton  Scroggins ; and her son, Dwight Brooks . She is survived by her husband, of 61 years, Edward W. Brooks ; five sons, Gerard "Jerry" Boyd and his wife Norma of Little Rock, David "Randall" Brooks and his wife Kara of Sweet Home, Timothy Brooks and his wife Beverly of Benton, Joel Brooks and his wife Beverly and Dana Brooks of North Little Rock. She is also survived by her daughter, Patricia Johnson and her husband Graham of Benton; and her brother, Ronald Scroggins  and his wife Helen of Leola, Ark. ; along with 17 grandchildren; and 27 great-grandchildren.Funeral services for Mrs. Brooks will be held at 2 p.m. on Saturday, Sept. 26, 2009, in the chapel of Dial and Dudley Funeral Home with Edward Brooks Johnson officiating, and burial to follow at Orion Cemetery in Hensley, Ark. Visitation will be from 6 to 8 p.m. on Friday at the funeral home. To sign the Mrs. Eva Brooks online guest book go to www.dialanddudleyfuneralhome.com.PAID OBITUARY Brooks. Copyright 2009, The Benton Courier, All Rights Reserved. Mrs. Brooks was born on March 3, 1924 in Kelso, Washington to her parents Walter Newton Scroggins and Eva Bannister. She was a hard working mother of the Church of Jesus Christ and enjoyed sewing and crocheting. She is survived by her husband, of 61 years, Edward W. Brooks, 5 sons; Gerard “Jerry” Boyd and his wife Norma of Little Rock, David “Randall” Brooks and his wife Kara of Sweet Home, Timothy Brooks and his wife Beverly of Benton, Joel Brooks and his wife Beverly and Dana Brooks of North Little Rock. She is also survived by her daughter, Patricia Johnson and her husband, Graham of Benton and her brother, Ronald Scroggins and his wife, Helen of Leola, Arkansas, along with seventeen grandchildren and 27 great-grandchildren. Mrs. Brooks is preceded in death by her parents, her brothers, Donald and Newton Scroggins and her son, Dwight Brooks. Funeral services for Mrs. Brooks will be held at 2 p.m. on Saturday, September 26, 2009 in the chapel of Dial & Dudley Funeral Home with Edward Brooks Johnson officiating, and burial to follow at Orion Cemetery in Hensley, Arkansas Visitation will be from6-8p.m.on Friday at the funeral home. Martel Scroggin, a retired advertising agency executive and novelist, died September 20, 2009, at home of cancer. He was 80. Scroggin, a member of Crook County High Schools Class of 1948, had a ranch east of Prineville on the Ochoco Ranger Station Road. He wrote three fiction-based-on -fact book about the history and development of Central Oregon. All three books; Wasco, The Moonlighters, and The Sheepshooters, were taped and distributed by the National Library and the Library of Congress for the blind and physically handicapped. The Sheepshooters was the first novel written that covered the violent cattle-sheep wars that ran from 1886 to 1906. He started his advertising career in San Francisco with Batten, Barton, Durstine and Osborn, where he was the account executive for the U.S. Steel and Pacific Gas & Electric accounts. In 1958, he left BBDO to become a co-founder of Allen, De St. Maurice & Scroggin. Nine years later, he founded the agency that was to become Scroggin & Fisher, handling such accounts as the San Francisco Examiner, Chevron, China Airlines, Fairchild semiconductor, Otis and NEC corporation. After his retirement, his company was acquired by Batten, Barton, Durstine & Osborn, the ad agency where he got his start. Scroggin served on the board of directors of the Transworld Advertising Agency Network (TAAN), a group of agencies throughout the world He became the only chairman in the history of this organization to be re-elected for four consecutive terms and travelled extensively - often with his family - to help build the total membership to 40 worldwide members. He received a degree in Journalism from the University of Oregon, where he was president of his fraternity, Phi Kappa Sigma, and was a Korean War veteran. He served on the steering committee for the Friends of Radiology at Stanford, and was an active member of The Family Club and the Crook County Historical Society. Other memberships included the Hoover Institution, BPOE and Western Writers of America. His wife, Gretchen, preceded him in death in 1989. He is survived by his daughters, Leslie and Wendy, a son, Jeff, and five grandchildren. JACKSONVILLE - Larry Dale Scroggins , 47, died Saturday, Sept. 19, 2009, at his home. Larry was born Sept. 4, 1962, in Benton to Vernon Macy Scroggins  and Virginia Mae Rickford  Scroggins . He was a graduate of Hazen High School and was an apartment complex manager. He was preceded in death by twin infant sisters, Kathy and Kathleen Scroggins ; and his grandparents, Lonnie  and Minnie Scroggins of Humphrey and Eula and Marvin Rickford of Benton. Survivors are his sons, Zackary Logan Scroggins  and Justin Macy Scroggins  of Reydel and Brandon Rollins of Stuttgart; his parents, Vernon and Virginia Scroggins of Reydel; brother, Teddy  Scroggins of Benton; and sister, Karen Scroggins  of Hazen. Funeral services, officiated by Bro. Larry Bishop, are 2 p.m. Wednesday at Turpin Funeral Home chapel with burial in Frazier Cemetery. Visitation is 6-8 p.m. Tuesday at Turpin Funeral Home. Copyright 2009 The Stuttgart Daily Leader. All Rights Reserved. Bessie Lou ScrogginsFuneral services for Bessie Lou Scroggins, 97, of Beaumont will be held Thursday, Sept. 24, 2009 at 11 a.m. in the Claybar Kelley-Watkins Chapel with Dr. Ralph Thompson officiating and assisted by the Rev. Tony Shaw. Interment will be at Garden of Memories Cemetery in Elkhart on Friday, Sept. 25, 2009 at 11 a.m. A gathering of family and friends will be held Wednesday between 5 and 7 p.m. at Claybar Kelley-Watkins Funeral Home in Beaumont.Bessie was born in Elkhart, Texas on Jan. 17, 1912, daughter of the late Marvin and Helen (McKinney) Hortman. She was baptized in 1927 in Elkhart Club Lake. She lived in Elkhart and Freeport, and has been in Beaumont since 1987. She was a member of Amelia Baptist Church, Triple L Club, AARP, and KOPS 345 Alumni of Southeast, Texas. Those left to cherish her memory are daughter and son-in-law, Melba (Shipper) and Garland Stansel of Angleton; son and daughter-in-law, Dr. Kenneth and Robbie Shipper of Beaumont; brother-in-law, Harry Dunnam of Palestine; sisters, Jewel Rainey of Angleton, Dora Quarles of Elkhart; and brother, Marion Hortman and wife, Kathleen, of Elkhart. Also, surviving her are her grandchildren, David Stansel, Wayne Stansel, Larry Stansel, Suzy (Stansel) Potts, Connie (Stansel) Dunn, Stanley Shipper, Ted Shipper, Greg Shipper and Cindy (Shipper) McMurrey; stepgranddaughter, Missy Sawyer; stepgrandson Butch Sawyer; 22 great-grandchildren, nine great-great grandchildren; and numerous nephews, nieces, and a host of friends. She was preceded in death by brothers, Elbert and Junior Hortman; sisters, Bulah (Hortman) Gilcrease and Martha (Hortman) Dunnam; and husbands, M.C. Shipper, Edward Pridgen, and Clifton Scroggins.Those who wish may make donations to Amelia Baptist Church or to the Dr. Kenneth Shipper Scholarship at Lamar Institute of Technology in Beaumont, Texas. Funeral services for Bessie Lou Scroggins, 97, of Beaumont, TX will be held Thursday, September 24, 2009 at 11:00 am in the Claybar Kelley-Watkins Chapel with Dr. Ralph Thompson officiating and assisted by Rev. Tony Shaw. Interment will be at Garden of Memories Cemetery in Elkhart, TX on Friday, September 25, 2009 at 11:00 a.m. A gathering of family and friends will be held Wednesday between 5:00 and 7:00 p.m. at Claybar Kelley-Watkins Funeral Home in Beaumont. Bessie was born in Elkhart, TX on January 17, 1912, daughter of the late Marvin and Helen (McKinney) Hortman. She was baptized in 1927 in Elkhart Club Lake. She lived in Elkhart and Freeport, and has been in Beaumont since 1987. She was a member of Amelia Baptist Church, Triple L Club, AARP, and KOPS 345 Alumni of Southeast, TX. Those left to cherish her memory are daughter and son-in-law, Melba (Shipper) and Garland Stansel of Angleton; son and daughter- in-law, Dr. Kenneth and Robbie Shipper of Beaumont; brother-in-law, Harry Dunnam, of Palestine; sisters, Jewel Rainey of Angleton, Dora Quarles of Elkhart; and brother, Marion Hortman and wife, Kathleen, of Elkhart. Also, surviving her are her grandchildren, David Stansel, Wayne Stansel, Larry Stansel, Suzy (Stansel) Potts, Connie (Stansel) Dunn, Stanley Shipper, Ted Shipper, Greg Shipper and Cindy (Shipper) McMurrey; step-granddaughter, Missy Sawyer; step-grandson Butch Sawyer; twenty-two great- grandchildren, nine great- great grandchildren; and numerous nephews, nieces, and a host of friends. She was preceded in death by brothers, Elbert and Junior Hortman; sisters, Bulah (Hortman) Gilcrease and Martha (Hortman) Dunnam; and husbands, M.C. Shipper, Edward Pridgen, and Clifton Scroggins. Those who wish may make donations to Amelia Baptist Church or to the Dr. Kenneth Shipper Scholarship at Lamar Institute of Technology in Beaumont, TX. Edna Frances Scroggins, age 92, left us to be with the Lord on September 15, 2009. There will be a viewing at Benson Funeral Home in Moses Lake on Friday, September 18, 2009 from 5p.m- 8 pm. A service will be held for her on Saturday, September 19, 2009 at the Nazarene Church in Royal City at noon. She is survived by her children, Wayne (Helen) Scroggins of Royal City, WA; Ronnie (Erma) Scoggins of Cresent OR; Roger (Jean) Scroggins of Royal City, WA; Gary (Maryln) Scroggins of Royal City, WA; Joyce (Ronnie) Smith of Lacey, WA. Eleven grandchildren: Julie, Cheryl, Mike, Greg, Tom, Jeanna, Karen, Jeff, Jason, Marc and Stacie. Thirty great-grandchildren: Melanie, Matt, Heather, Kaylee, Jeremy, Josh, Kyle, Kori, Sarah, Bo, Nick, Mickenzie, Garrett, Katrina, Gregory, Jon, Jerrid, Jordan, Jake, Ashlee, Tim, Ethan, Kayla, Jaimen, Louden, Madyn, Breanne, Caitlin,and Jack. Three great great-grandchildren: Ethan Wayne, Ella and Bronson.She is preceded in death by her grandson, Brian Scroggins, her great-grandson, Justin Akins and her husband, Marcus “Bud” Scroggins . She will be greatly missed and warmly remembered by her family. Albert Zachery "A.Z." Scroggins , age 82, of Haskell, passed away Friday, Sept. 11, 2009. He was born June 30, 1927, in Birdie, Ark. Mr. Scroggins was a heavy equipment operator for Horner Sand and Gravel. He was preceded in death by his wife, June Scroggins , who died in 1988. Mr. Scroggins was also preceded in death by his parents, Ollie  and Elsie Scroggins ; his special friend and life partner, Cecilla Vick; three brothers, Floyd [? ], Wilborn  and Roy Scroggins ; and three sisters, Arvella Schimmels [? ], Louella Dahy  and Retha Blaylock . He is survived by two stepsons, Gene Cullins of Malvern and Jim Head of Benton; stepdaughter, Amy Holley of Malvern; three brothers, Henry  and O.C. Scroggins , both of Benton and Clyde Scroggins  of Hope; sister, Lela Brents  of Benton; three half sisters, Mabel, Helen and Faye; grandson, Phillip Booher; and two great-grandsons, Tallon Brantle Booher and Avan Adam Booher. Graveside services will be held at 10 a.m. Saturday, Sept. 12 at Fairplay Cemetery. Arrangements by Ashby Funeral Home. Online guest book at www.ashbyfuneralhome.com. 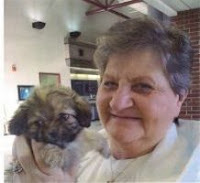 Patricia Scroggins Ruden of Shorewood, Ill., passed away at Edward Hospital in Naperville, Ill., Saturday, Aug. 29, 2009, after a brief battle with cancer. She was 71. Pat was an active member of Bethlehem Lutheran Church and participated in clubs and organizations within the church, including the Altar Guild. She was also involved with the Home Economics Club of Joliet for many years. Previously, she worked for Northern Illinois Gas Co. in the home economics department, which included her portraying "Penny Flame" at many seminars and trade shows. Pat worked alongside her husband, Don, at Expert Optics in Shorewood for over 25 years. She enjoyed traveling throughout the world and vacationing with family in Florida. Her nine grandchildren were her pride and joy. Pat was a loving and dedicated wife, mother, aunt, grandmother and friend. She is survived by her husband of 48 years, Donald Ruden; two sons, Eric Ruden and wife, Brenda of Annapolis, Md., and Greg Ruden and wife, Anne of Naperville, Ill.; a daughter, Jennifer Madson and husband, Joe of Naperville, Ill.; her mother, Louise Taylor Scroggins; and one brother, James Scroggins and wife, Lou, all of Van Buren. She is also survived by brothers and sisters-in-law, Dan and Lois Demos, Norma Larson, Barbara Nurczyk, Ron and Toni Ruden; and numerous nieces and nephews. She was preceded in death by her father, G.W. Scroggins of Van Buren. Funeral services were held at the Bethlehem Lutheran Church, 412 E. Benton St., on Thursday, Sept. 3, 2009, at 10 a.m., under the direction of Carlson-Holmquist-Sayles Funeral Home of Joliet, Ill.
Memorials may be made to Joliet Area Community Hospice. Online tributes and condolences may be made at www.legacy.com. Mrs. Vanessa Baxter Godinez - SAVANNAH - Mrs. Vanessa Baxter Godinez, 54, entered eternal rest om Thursday September 3, 2009 at Candler Hospital with her family at her beside. She was a native of Savannah, GA and attended the public schools of Chatham County. She was a graduate of Hershel V. Jenkins High School Class of 1973. She was employed by Publix. She is survived her husband; Javier Godinez, her mother; Gloria Baxter, father John Wesley Scroggins, one sister; Charlene Baxter, seven brothers; Ronnie Baxter, Andre Baxter, Tyrone Baxter, Craig Baxter, Kenneth (Caroline) Baxter, Eric L. Baxter, Antonio (Bryce) Byrd, all of Savannah, GA, a host of nieces, nephews, cousins, and other relatives. Savannah Morning News September 4, 2009 Please sign our Obituary Guest Book at savannnahnow.com/obituaries . Garland Eugene Pressley "Buddy" Sr.
PRESSLEY, SR. Mr. Garland Eugene "Buddy" Pressley, Sr.- born May 13, 1935, a native of Fayette, Alabama and long-time resident of Mobile, AL, died August 28, 2009, at a local nursing home after an extended illness with Alzheimer's Disease. Buddy was preceded in death by his parents, P.E. "Jack" Pressley and Hazel Sykes Pressley, daughter, LaDonna Jean Pressley, sister, Hazel Catherine Pressley, and brother, Charles Franklin Pressley. He leaves to mourn his going home, his loving wife of 52 years, Janice Maloy Pressley, two daughters, DeRhonda Pressley Arnold, Dawn Pressley McLean, one son, Garland Eugene Pressley, Jr. (Lori). Five precious granddaughters, Jessica Marie Arnold, Rikki Leigh Arnold Scroggins (Eric), Ereka Janese Pressley, Kaylie Marie McLean, Kaysie Anne McLean and one beloved grandson, Alex Keenan Pressley, sister, Doris Jean Pressley Pugh(Kirkland), and brother, James Edward "Jimmy" Pressley. He is also survived by many nieces, nephews and other relatives who loved and respected him. Buddy made his profession-of-faith and was baptized at Oakdale Baptist Church where he actively served for many years, and presently being a member of Woodridge Baptist Church. He graduated from Murphy High School, Class of 1953. After more than 27 years of service to the citizens of Mobile, he retired from the City of Mobile Fire Department as a Fire-Fighter/Driver and Chief-Aid and as a member of International Association of Firefighters Union-Local 1349. He served 8 years in HQ & HQ Co.2nd BN. 200th Infantry, 31st (Dixie) Division National Guard. 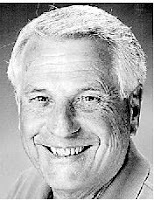 Buddy was very active in fast-pitch and slow-pitch softball, playing for over 42 years. The teams he played for included Oakdale Baptist Church, Woodbridge Baptist Church, Mobile Fire and Rescue Department and various local businesses. During this time he was on numerous league championship teams, participating in state and national competitions. His individual awards are too numerous to mention. He umpired for 8 years on his free time. Buddy was the first City of Mobile Fireman to be honored and inducted into the Mobile Softball Hall of Fame on July 1, 1993. On September 4, 2009 a visitation will be from 10:00 a.m. to 12:00 p.m. at Pine Crest Funeral Home. Graveside services will be held on September 4, 2009 at 12:00 p.m. in Pine Crest Cemetery with interment to follow. In lieu of flowers, donations may be made to Woodridge Baptist Church Building Fund or the Alzheimer's Treatment and Research Center. The family wishes to express its gratitude to Wiregrass Hospice and the staff of Twin Oak's Nursing Home for their care and compassion during Buddy's illness. An online guestbook may be signed at www.pinecrestfuneralhome.com. Funeral arrangements made by Pine Crest Funeral Home, 1939 Dauphin Island Parkway, Mobile, Alabama. HELEN REDDY DACUS, 92, was born in Britton, TX on July 9, 1917 and passed away in Conroe, TX on September 1, 2009. She is preceded in death by her childhood sweetheart and husband of 27 years, Herman H. Reddy, beloved son Joey Reddy, husband of 13 years, Roy L. Dacus, daughter Jonnie Lou Martin and parents I.A [Ira A.] and Vernia Scroggin. She is survived by beloved daughter, Dianne Reiser and son-in-law Sam Reiser, daughter-in-law Ann Reddy, 9 grandchildren, 19 great-grandchildren and 4 great-great grandchildren. Helen loved life, friends and family. She will be greatly missed but she is now "walking with the angels". A funeral service will be held at Rosewood Funeral Home, 2602 S. Houston Ave., Humble, TX 77396 on Friday, September 4, 2009 at 12:00 PM with Rev. Buddy Miller officiating. Burial will be at Moore Cemetery in Arlington, TX on September 5, 2009 at 2:00 PM. In lieu of flowers, donations can be made to Park Manor of Conroe, 1600 Grand Lake Dr, Conroe TX 77304-2834 or Lighthouse Hospice, 200 Riverpoint Dr, Suite 300, Conroe, TX 77304.